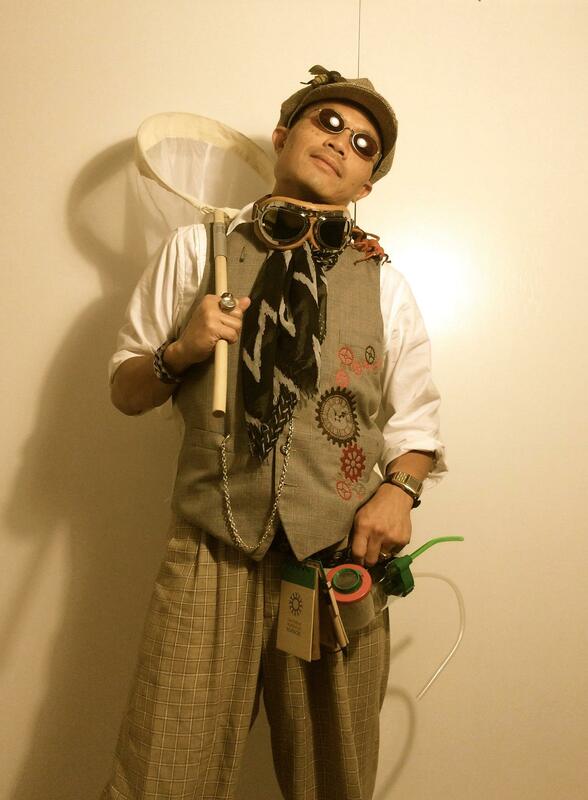 Science Costume Idea: Steampunk Entomologist! You know how you make anything cooler? 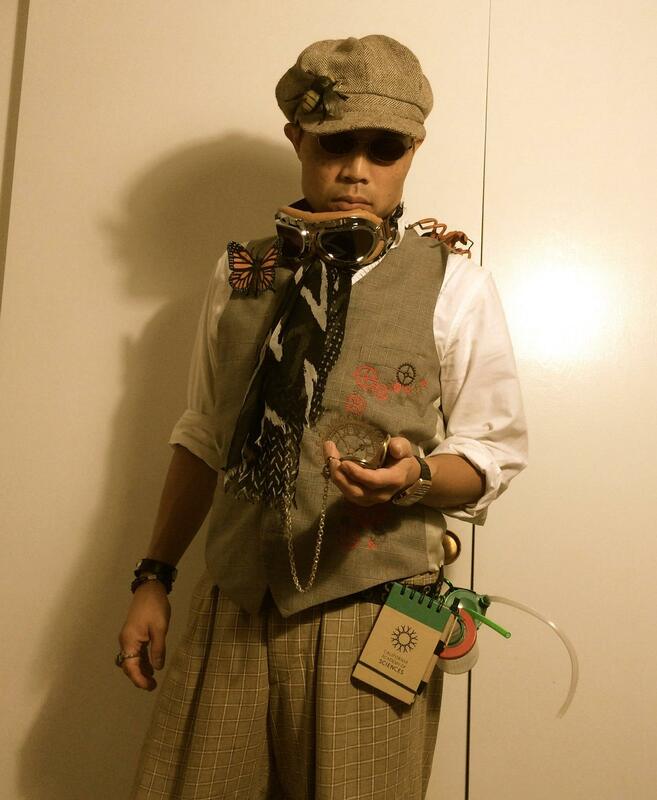 You make a steampunk version of it! Okay, maybe not. 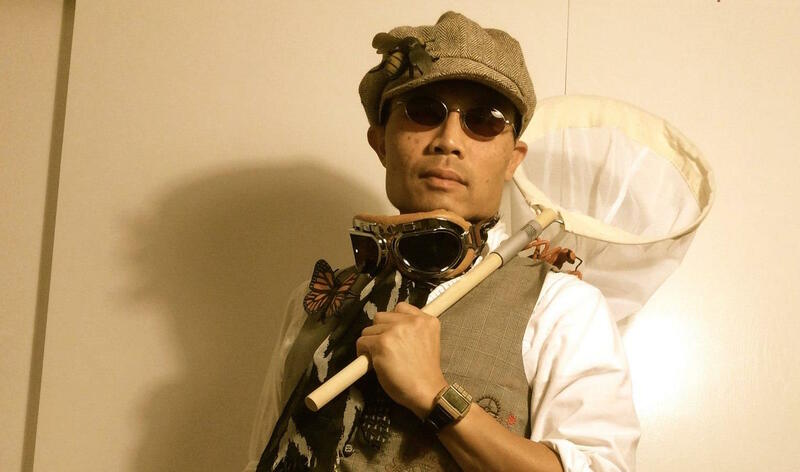 But I had some vaguely steampunk-ish items lying around the apartment, and a museum full of science apparatus and toys. So this was the best I could come up with. 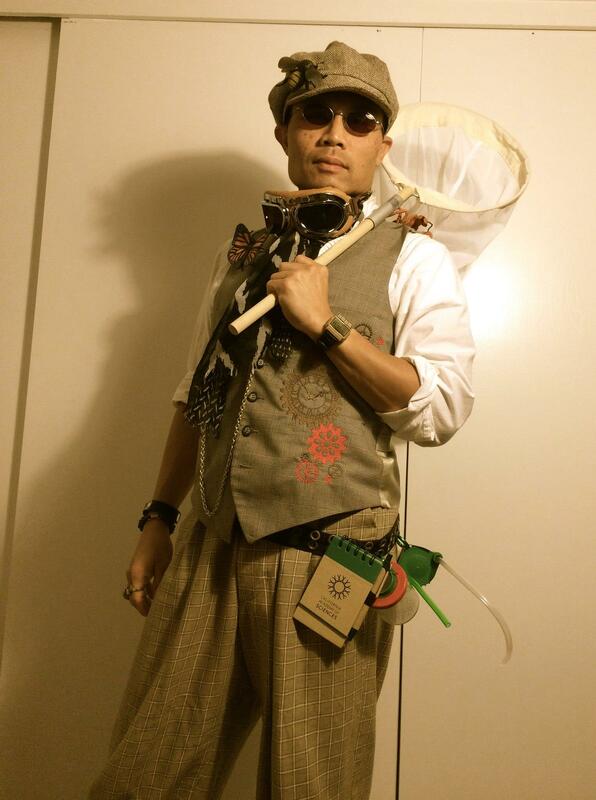 So here it is: STEAMPUNK ENTOMOLOGIST. Complete with net catcher, pooter, bug box with magnifying glass, field notebook, and lots of bugs.